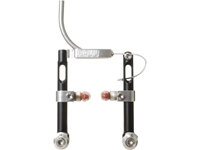 For those people still running v/linear/direct pull brakes we offer the Motolite. This brake has proven itself to be the best of this genre time and time again. High power, excellent modulation and easy to adjust/maintain. 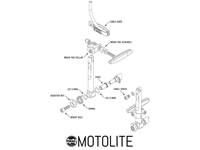 Now all Motolite’s have the capability of running a larger size wheel. In other words the arms allow the pads to travel way up the arm so you could say, run a 650b or 700c wheel on a bike designed for 26”wheels. Everything is 100% machined out of the finest quality materials and painstakingly finished and assembled. Like all Paul Components brakes these feature our over-sized sealed pivot sleeves machined to a tolerance of plus or minus one thousandths of an inch. And of course independently adjustable square wire springs keep everything snappy and balanced. 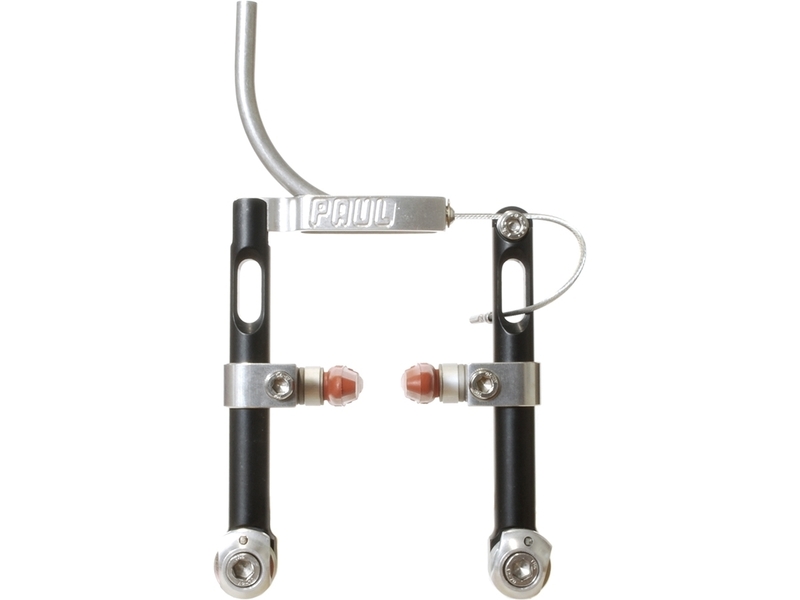 The quick release mechanism is utterly simple and always reliable. Why doesn't everybody do it like this? 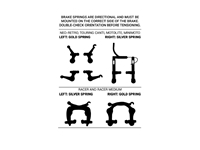 Yes, disk brakes are taking over, but if you want to keep things simple, avoid that inevitable disk noise, or have a classic Ritchey that’s been hanging in the garage since the early 90’s needing a makeover: these are the brakes for you.